Contact Seattle Computer Recycling: You can call us at 206-653-0251, or stop by our store. We are open 7 days a week for computer and electronics recycling. You can also fill out a form at the bottom of this page. Our Location: Seattle Computer Recycling is located at the corner of 76th and Aurora in North Seattle. We accept for recycling computers, laptops, Macs, Macbooks, and other Electronics. There is no charge to recycle computers or electronics and we wipe the data on all recycled computers and laptops and Macs for free. No Television Recycling: We do not recycle televisions, or appliances. and we charge a fee for printer recycling. Electronics Recycling: We recycle at no charge cameras, cell phones, stereo equipment and other small electronics. Computer Parts Recycling: Our company recycles incomplete computers, and laptops, as well as computer parts. We recycle motherboards, drives, computer cases, cables, cords, and all other computer related parts. 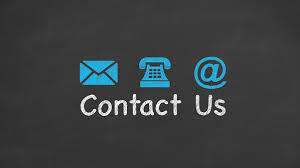 Call or Message Us: Want to ask about our electronics, or computer recycling services? Use the contact form below. One of our friendly staff members will get back to you within 1 business day. We can’t wait to hear from you! Or call 206-653-0251. Our store is open for computer recycling and laptop / desktop repair 7 days a week.